100 PCT NON SMOKING The Hampton Inn Watertown hotel is located in the heart of the 1000 Islands just east of I-81 Exit 45 in Watertown New York. It is minutes from Fort Drum Black River and local shopping. The Hampton Inn Watertown New York hotel features 90 rooms with two queen beds or one king bed and king rooms with whirlpool tubs. Some rooms include a mini-fridge and microwave. 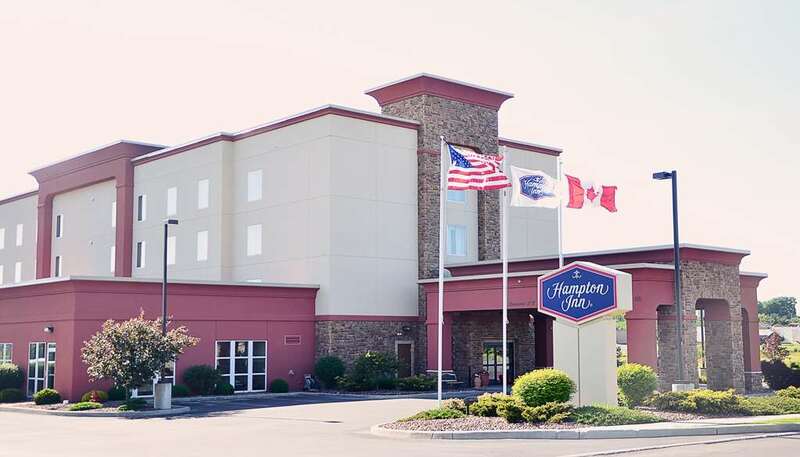 The Hampton Inn Watertown New York hotel has an indoor pool WIFI and data plug-in Internet access excerise room business center complimentary On the House hot breakfast and a spacious meeting room to accommodate meetings and seminars. We love having you here at the Hampton Inn Watertown New York Hotel.